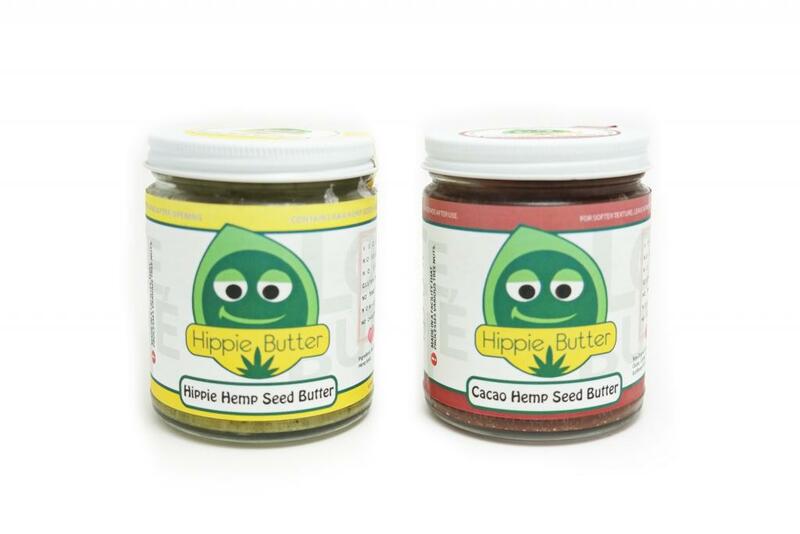 During the past week, we had the opportunity to try Hippie Butter’s Hemp Seed Butter products. 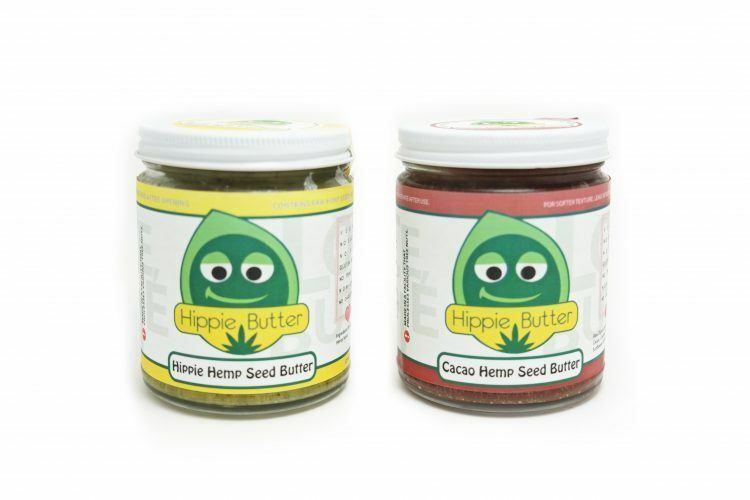 Hippie Butter offers two different types of seed butter: The Gourmet Hemp Seed Butter (original flavor) and The Cacao Hemp Seed Butter (chocolate flavor). So we’ll break this review down for each of those products. The gourmet hemp butter has a very natural taste that you will find strangely addicting. Since its just a grounded version of hemp seeds, the unique nutty flavor of hemp seeds is even more accented. It might taste a bit “different” or “too unique” at first, but this taste really grows on you. If you want to add some sweetness to this nutty flavor, I found adding some honey or cinnamon to be really effective. The Cacao Hemp Butter definitely has a more appealing look than the Gourmet – as you would assume since it is chocolate flavored. The butter is reddish brown with white hulled hemp seeds visible throughout. The consistency is a bit harder than the Gourmet hemp butter. After putting it in the refrigerator, the butter got a bit harder, so it didn’t really “spread” on my toast. But, honestly, it wasn’t too hard using a knife to get the butter out of the jar. Hippie Butter really did an amazing job on the flavor of the Cacao Hemp Butter. With a dark chocolate and nutty taste, the Cacao Hemp Butter really makes you crave more. The chocolate isn’t too sweet, as the nutty flavor counterbalances the sweetness. So the sweetness will never feel like you had “too much”. Since it is chocolate flavored, there was no need for me to add anything else to the butter. Honestly, it’s like a much healthier version of a Nutella. I tried out the hemp seed butters in several different ways for the next couple days. I toasted some bread and made myself a hemp seed butter sandwich, cut up some apples and dipped them in the hemp butter, and I also just grabbed a spoon and ate a spoonful of it as a snack. I’m sure there’s plenty of other ways you could eat it as a snack – spreading it across some crackers, mixing it with your smoothie, etc. 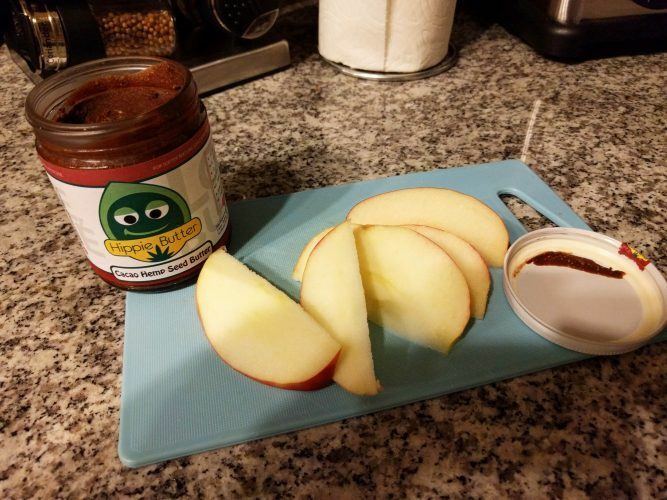 Personally, for the Gourmet Hemp Seed Butter, I enjoyed spreading it on my apples the most. The sweetness of an apple really blended well with the nutty flavor of the original hemp seed flavor. 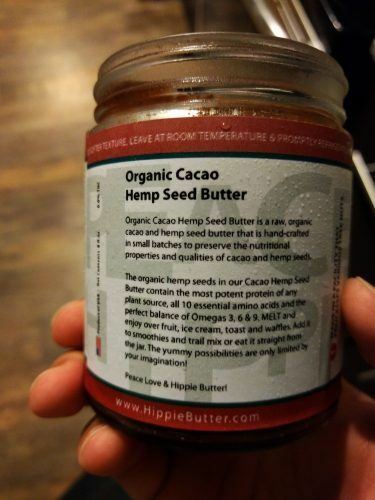 For the Cacao Hemp Butter, I loved spreading it on a toast and enjoying it as a late night snack. It really satisfies all your “sweet tooth” cravings at night, and is a much healthier alternative! What I really LOVED about the hemp butters was the dietary effects that I noticed in the past few weeks that I’ve been eating them. 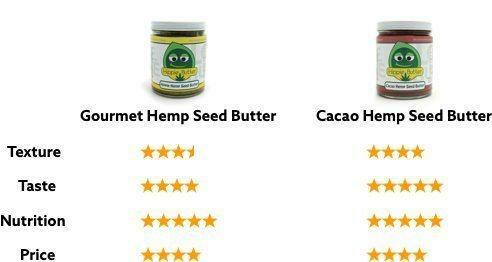 As Hippie Butter describes on their website, hemp seed butters “offer virtually perfect nutrition”. 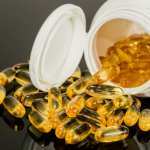 It packs 11g of protein per serving while also packing the exact proportion of amino acids found in other sources of protein such as milk, eggs, meat, and soy. 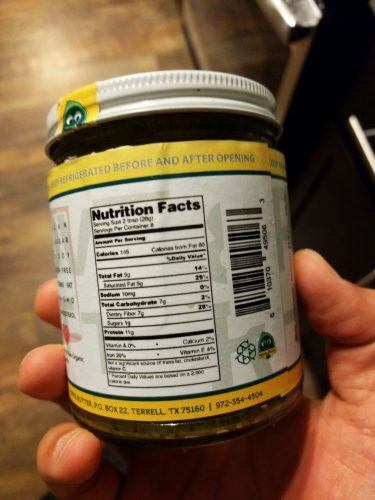 Setting these descriptive language aside, what I noticed most is how long hemp seed butter keeps you full for. 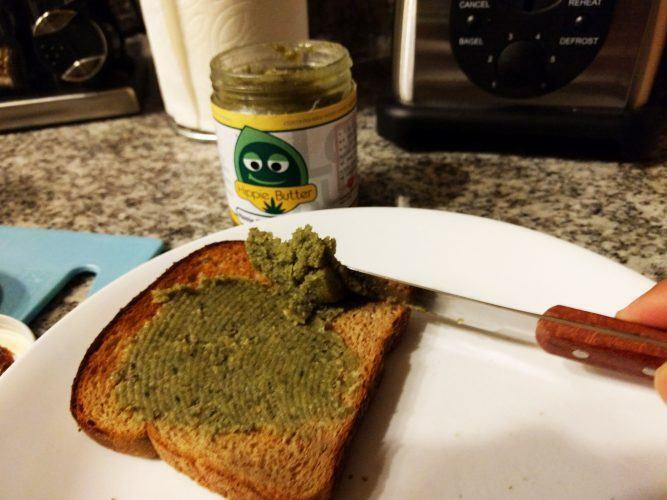 After adding hemp seed butter to my breakfast (by either spreading it on my toast or apple), I’ve noticed that I don’t get hungry as quickly. I can last until lunch without having a snack. I also have felt a lot more energized throughout the day after adding hemp seed butter to my diet. 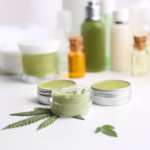 The Ministry of Hemp team personally reviews unique hemp brands and their products to share the benefits and interesting aspects of the application of hemp. 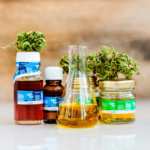 We share our honest thoughts and opinions, with the goal to help guide your next hemp purchase.